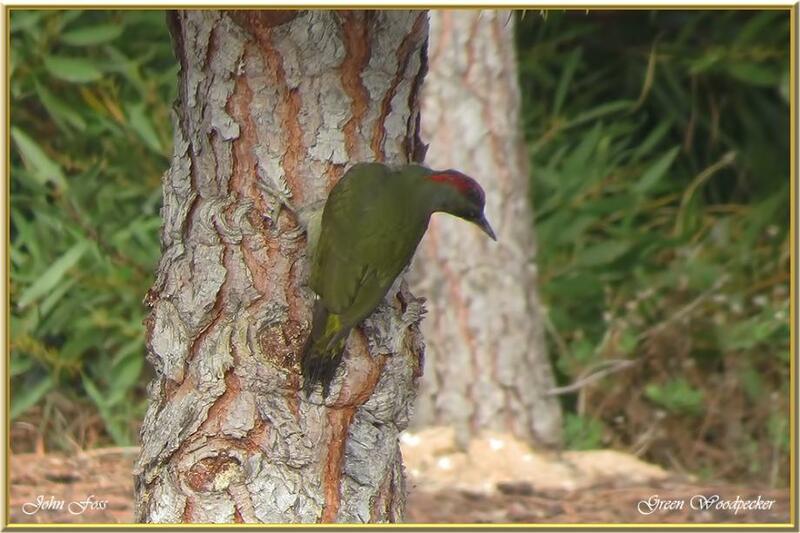 Green Woodpecker - the green woodpecker feeds mainly on the ground where it forages around for ants and other insects. It is a very shy bird which is almost certainly heard before it is seen. Although it does not often drum on trees like other woodpeckers. Not one of my best photographs as I have only managed to capture a few images of this elusive bird. But here the photograph stays until a better one comes along!